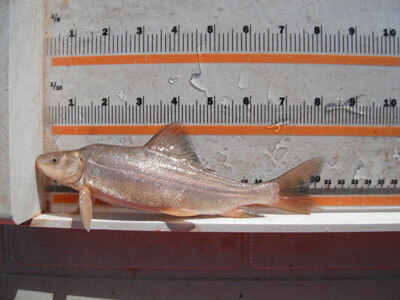 In 2010 Reclamation initiated a project to evaluate the endangered razorback sucker’s (Xyrauchen texanus) use of the Colorado Inflow area of Lake Mead (CRI). BIO-WEST successfully documented razorback sucker using the CRI during the first year of this 3-year study. To investigate potential use of the area, BIO-WEST utilized sonic-tagged razorback sucker to locate wild razorback sucker, marked captured razorback sucker, sampled for larval fish, determined razorback sucker habitat use, and employed aging techniques to begin characterizing the age structure of the razorback sucker population in the CRI. Since many questions still needed to be addressed, this collaborative study was improved by increasing sampling efforts at the CRI in 2011. These increased efforts resulted in additional documentation of both larval and adult razorback sucker use of the CRI during that year. 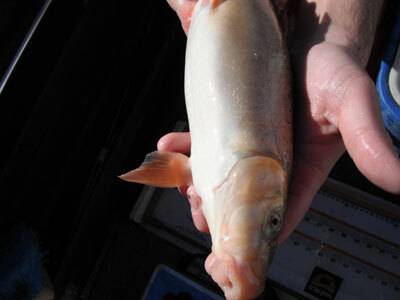 Also, new methodologies (e.g., radio telemetry and riverine sampling) were used to better characterize razorback sucker use of the CRI and the Colorado River proper. As the study progresses, BIO-WEST will continue to research the razorback sucker population in the CRI using increased radio/sonic tracking, larval sampling, and netting efforts. This increased effort will allow for better characterization of razorback sucker habitat in the CRI and more opportunities to locate additional groups of fish and spawning areas in the vicinity. 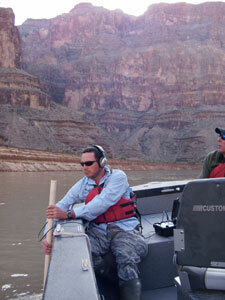 Investigating razorback sucker use of the Colorado River proper, as well as other physicochemical and biological factors that allow for continued recruitment, is also of interest. This project has been a collaborative effort between BIO-WEST, Reclamation, the National Park Service, the US Fish and Wildlife Service, Nevada Department of Wildlife, and Arizona Game and Fish Department.